Come journey with us as we walk with Jesus through betrayal and arrest, to death and resurrection. Sunday, April 14: Palm/Passion Sunday Come join us at 9 a.m. in the Youth Room for a Pancake Breakfast and enactment of the Palm Sunday Story! We will process into the sanctuary for the 10 a.m. service, where we’ll move into the reading of the Passion According to Luke’s Gospel, and depart in silence. Saturday, April 20: Easter Vigil at Prince of Peace @ 7 p.m. 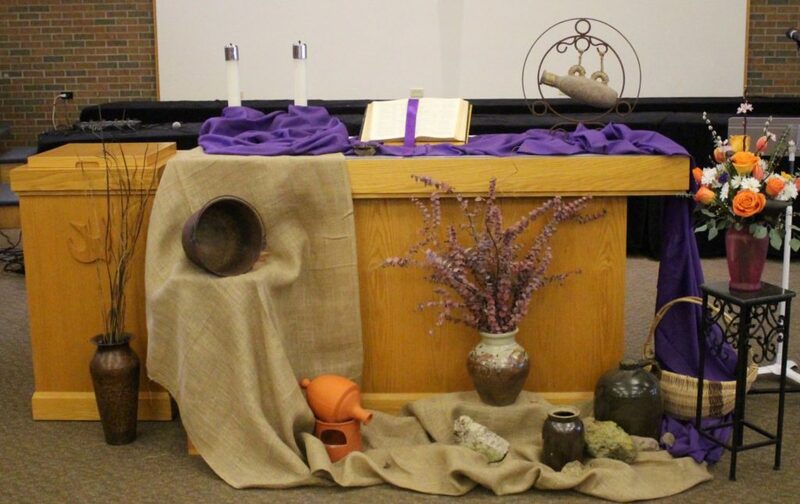 Prince of Peace Lutheran church has invited us to join their Easter Vigil Service, which begins with a bonfire outside and concludes with indoor worship. Sunday, April 21: Easter Sunday! *Sunrise Service in the courtyard @ 6:30 a.m.
*Easter Egg Hunt for children on the front lawn @ 9 a.m. Please bring your own Easter basket if you have one to collect eggs! *Resurrection Worship in the Sanctuary @10 a.m.